These Table Skirts that Convert are Part of a Full Set! Don't Rent Throws When You Can Buy These Solutions at Wholesale! 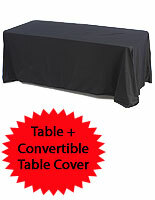 Go Online Today to Order Premium Table Skirts and Tables! 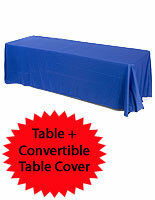 These trade show cover, table skirts are the most practical accessories for your organization. Dress your tables with the included convertible tablecloths to make the portable surface look more attractive and appealing. 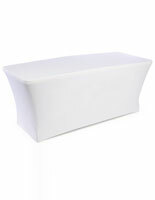 Impress customers with these table skirts. 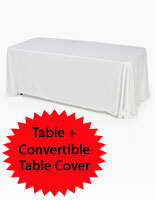 You can also use the covers on a 6' table as well, due to the convertible design. 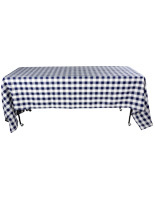 The tablecloths are machine washable, wrinkle free. With these table skirts, you will never need to rent trade show materials again, and they can be used for any occasion or special event. 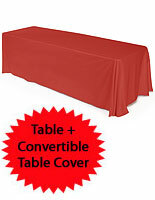 These banquet throws, table skirts are perfect for use in any large venue. You can have all the tabletop space you need for your displays. 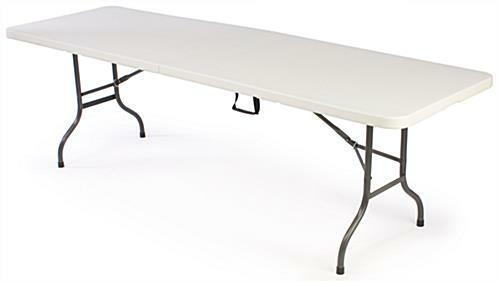 The table skirts, also known as throws with foldable counters, include a folding table and convertible tablecloth for your convenience. 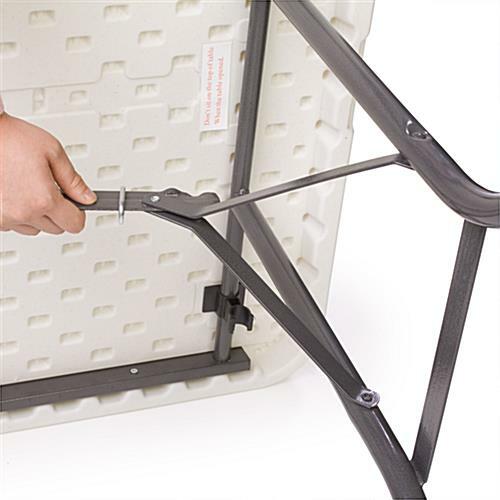 Built from durable metal legs with a molded plastic table top, these tables can be used for years to come. 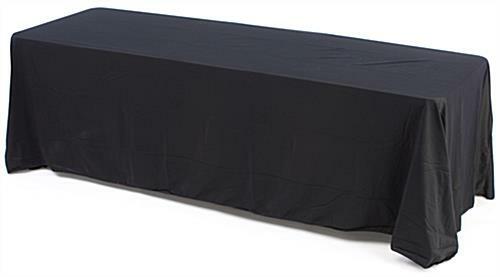 The table skirts are easy to set up, and are perfect for use at trade shows, meetings, conventions, and exhibition halls. 96.0" x 29.3" x 30.0"
48.0" x 30.0" x 3.5"